Several research teams have already demonstrated the ability of graphene to convey spin over longer distances. 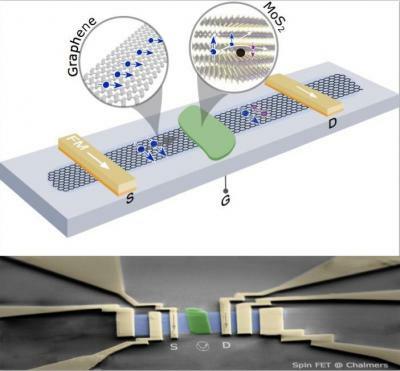 Hence, if graphene is integrated with another layered material in which spin stays only for a considerably lesser time, a spin field-effect transistor like device can be fabricated. By combining graphene with molybdenum disulfide (where spin only lasts for picoseconds) it's possible to control where the spin can go by using a gate voltage—essentially creating a spin switch.